To know who supported Our Lady and those who opposed her is fundamental to understanding the Church today. Over 16 years ago on June 26, 2000, the Congregation of Faith published a report titled “The Message of Fatima” (TMF) reportedly to reveal the contents of the true Third Secret of Fatima 40 years too late to save millions of souls and to conclude discussion about the Fatima apparitions. The report was called a scandal by Mark Fellows in his book, Fatima in Twilight, and he further writes that the authors of TMF knew it. He asks how those in charge of guarding our Faith could issue that report with a straight face. Fr. Paul Kramer, in his well-read book regarding Fatima The Devil's Final Battle, takes an entire chapter to refute the complete report and considers it as a hoax. One of the many mysteries of Fatima is why this report was not called a complete fabrication by many who knew; instead they became enablers of Satan. The ‘bishop dressed in white’ is reputably a vision which is called the third secret out of desperation by the Novus Ordo Church and the authors of the TMF report. (here) The ‘sewers of impurity’ – borrowing a phrase from Our Lady of La Salette – are primarily the same betrayers who have controlled information regarding what an imposter said and did since the real Sister Lucy disappeared in 1959. The authors Mark Fellows and Fr. Kramer were too kind. There is no other way to put it. They never seemed to fully grasp that the opponents of Fatima were heretics who despised the Catholic Church and were very instrumental in Vatican II, whose primary purpose was destroy the Faith. This is becoming more evident each day. Although at the time they thought that Sister Lucy was restricted from all communication, they did not know that she was a fraud. 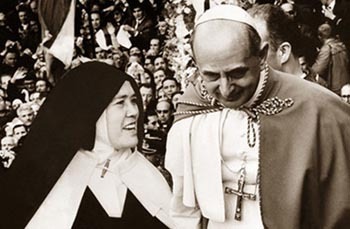 It was on May 13, 1967, the 50th anniversary of Fatima, that a Sister Lucy appeared on stage with Paul VI in an open public square at Fatima with a reported 1,000,000 people in attendance. The story was told that she requested to speak to the Pope and wept when he rebuffed her and told her: “Speak to your Bishop.” Pictures of the event tell a completely different story showing a very happy and smiling Lucy with Paul VI (picture at right). 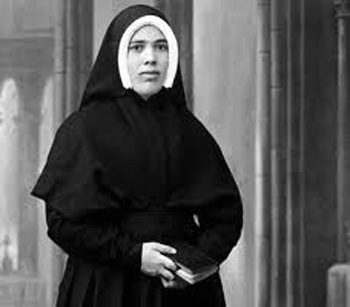 The episode surprised and hurt many Catholics who got turned off to Fatima. 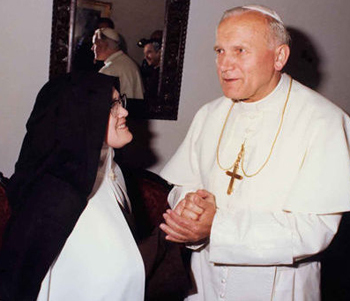 There were many pictures published of John Paul II with Sister Lucy when they met at Fatima in 1982 and again in 1991, which makes it hard to realize that it took over 40 years to discover that the Vatican and the religious authorities had successfully deceived the world about the real Sister Lucy. This is another unexplainable Fatima mystery demonstrating the power of the Devil. It wasn’t until Dr. Marian Horvat wrote the article, “Photos and Facts” that compared pictures and her mannerisms of the imposter with a younger Lucy that this deception was brought to light. In 2013 a forensic progression and regression of photos of Sister Lucy further demonstrated that there were two Sister Lucy’s in the article “Photographic Studies Confirm Two Sister Lucys ”. TMF had to be written by the king of lies since it is blasphemy against Our Lady of Fatima, a document filled with fiction, false statements, fabrications, half-truths and lies supporting other lies, from the first sentence of the report to its last page. The report quotes an imposter Sister Lucy to justify their lies, goes into great detail to explain a vision of ‘the bishop dressed in white,’ which they knew was not part of the third secret or even a 'second third-secret' as many would like to believe to protect the enablers. The report never mentions the greatest public miracle in History, the “Miracle of the Sun,” or the words of the Blessed Mother “for all to see and believe” that sets Fatima aside from many other apparitions. The Los Angeles Times article on June 26, 2000, reported that the Church’s top theologian (Cardinal Joseph Ratzinger) debunked the Fatima cult - as if the Devil’s representatives hadn’t already done so over the years starting with the Vatican’s silence and disrespect for the apparition as early as 1930. The Third Secret was to be released in 1960 and, as we know, called the upcoming Council Vatican II a “wicked council.” Our Lady warned us, but John XXIII sided with the Devil and refused to release it. On February 8, 1960, the Vatican announced through the A.N.I. news agency that it is probable that the “Secret of Fatima” will never be made public. It is most probable that the secret will remain forever under absolute seal. This is the one time the ”sewers of impurity” told the truth. The question needs to be asked: What does it take to know truth since John Paul II, like his two predecessors, disobeyed the wishes of the Mother of God and kept the secret from the faithful? And, with the 100-year anniversary upon us, the Third Secret has still not been revealed – as foretold in the 1960 press release. In his memories, Novus Ordo Cardinal Silvio Oddi wrote that Vatican II was the fulfillment of the Third Secret of Fatima: a Revolution in the Church. He concludes by perhaps boasting that the prophecy of Fatima was completely defied! Fr. Gruner concluded, in one of his many articles about Fatima, that these clerics are undermining the Catholic Faith, undermining our salvation. Without the dedicated efforts of the Fatima Center over the recent decades, the message of Fatima would have died years ago and the Novus Ordo Church would have had no need to publish this set of lies. The Vatican-released TMF is approximately 5,000 words in length, and can be summed up simply that “Sister Lucy was a liar.” Per the report Lucy lied about the purpose of Fatima, the importance of 1960, the Third Secret, and that Bishops were an essential part of the consecration of Russia. 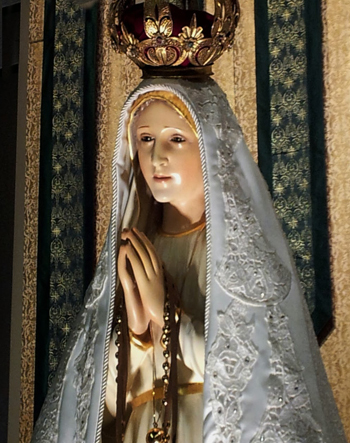 Fatima, once loved by millions of Catholics around the world, is not known by today’s Novus Ordo Catholics and is defied, despised and hated by the Hierarchy. Oh, what a job the progressivists did for the Devil! Lucy was the person chosen by God to foretell the greatest public miracle in History three months in advance. As she had promised, the miracle occurred. 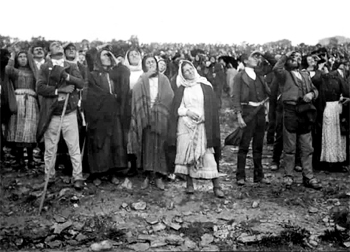 Rain drenched 70,000 believers and non-believers alike who, then, observed “the miracle of the sun” at Cova de Iria; afterward they all travelled home bone dry on October 13, 1917. These miracles were performed not to entertain or scare those who came, but for a reason. 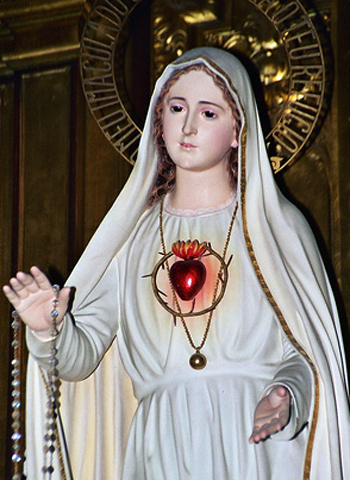 The message of Fatima was carried by Lucy, and, if people deny her, they are saying that God selected a liar to foretell the great miracles of October 13, 1917, a dreamer and a story teller as His messenger to spread the devotion of the Blessed Mother and warn us about losing our souls. She concluded with a very firm and definite statement: “I promise salvation to whoever embraces it; these souls will be dear to God, like flowers put by Me to adorn His throne”. Cardinal Angelo Sodano, the Secretary of State, whose ignorance about Fatima is astounding, announced on May 13, 2000, that the Secret contained a vision where the Pope falls apparently dead under a burst of gun fire. In his section of TMF, the Cardinal writes that the Third Secret was fulfilled in 1981 with the assassination attempt against John Paul II and, therefore, Fatima is now in the past. It did not seem to bother the Cardinal that the Pope was the only person shot by a lone gunman in St. Peter’s Square and lived an additional 25 years. The vision, however, shows a pope being killed along with other religious on a hillside by a group of soldiers. If the Cardinal wanted to relate the miraculous recovery of John Paul II to Sacred Scripture, he could have pointed out that it was most likely prophesied in the Apocalypse Chapter 13 verse 3. Card. Joseph Ratzinger used this false declaration that Fatima was in the past to confirm his comments. This strategy of setting up a false premise is common among progressivists to justify their propaganda. We are still awaiting the seventh return.